This past week you saw a highly placed Federal Reserve official finally admit to what we have known to be true for years now. The Fed will never manage to get its balance sheet pared back down to the pre-Global Financial Crisis size that served the U.S. economy so well for nearly a hundred years. The fact that the Fed has come clean with this admission is not really good news for the economy and financial system in America. It argues for the Fed-induced long term distortion in the markets to continue indefinitely. This is only the latest argument for why you need to include IRA-approved gold in your retirement portfolios. Gold makes sense in an IRA exactly because it protects you from these types of economic machinations of government based institutions. You can now effectively and gradually start building up a gold hoard in your retirement vehicle by buying gold in monthly installments. There is to all intents and purposes “virtually no chance of going back to the pre-crisis balance sheet size of $800 billion” regardless of the future framework the country's de facto central bank establishes for influencing short term interest rates. The former process utilized a scarce supply of commercial bank-owned reserves which they kept at the Federal Reserve. The Feds would simply adjust the required reserve supply through minute interventions in the money markets. This enabled them to establish their federal funds rate target effectively. This rate proves to be the one which banks assess each other for loans on an overnight basis. What Are the Problems With An Enormous Fed Balance Sheet? Since the Fed blew up its balance sheet, it has been employing what they call a floor system. This needs an enormous balance sheet and leaves a huge (and lately increasingly dominant) Federal Reserve footprint within U.S. financial markets. Another problem with this is that the country's central banking institution becomes severely politically at risk to the actions of Congress. They have already proven capable of stealing incoming payouts from the Fed's massive bond holdings in order to pay for their particular pork barreled projects. Instead today, the Fed utilizes its interest payouts as the primary policy tool for setting the short-term interest rates. They pay out a set rate on the huge commercial bank deposited reserves that the financial institutions maintain there. It is this floor of rates which they give the banks that sets the minimum for competing money market rates such as the fed funds rate. The Federal Reserve uses another borrowing facility they offer banks and financial institutions to reinforce this floor. Logan went on to explain that the rapid increase in the liabilities of the Fed translates to a longer-term balance sheet that is substantially bigger than ever before. This is true even if they return to the corridor system. As an example, she pointed to the amount of total currency in circulation in America. This has over doubled from the Global Financial Crisis to the present $1.6 trillion worth. The Fed anticipates that this will only continue to expand as does the U.S. economy. Besides this, Logan argues that maintaining the old corridor system would prove to be far more difficult today than before. This is because supervising procedures and system rules that the government enacted following the financial crisis cause there to be a greater volatility of demand for commercial bank reserves kept with the Fed. The other liabilities of the central bank are considerably larger and more volatile than they were a decade ago as well. This includes Treasury and foreign central bank account holdings today. This means that the Fed would have to engage in approximately $25 billion worth of money market operations each overnight session so that it could simply maintain its intended interest rate. This matters as it is about five times greater than the prior average before the crisis unfolded. Beyond this, periodic interventions would have to soar to over $100 billion. “While it may simply be a case of nostalgia on my part, I found our minimalist pre-crisis operating framework to have a number of features that served us well.” These characteristics included a far smaller balance sheet, along with a significantly smaller financial markets Fed footprint. It all amounts to the final admission that where financial markets are concerned, things will never be the same again as they were in the heady days before the onslaught of the subprime mortgage market meltdown that led to the now apparently forever game-changing Global Financial Crisis. After a decade of bluffing about the financial markets eventually returning to normal, the Federal Reserve has at last come clean and admitted what we suspected all along. They will never be able to withdraw from markets (especially government bond markets) to the levels before the markets imploded. For one thing, the Treasury must continuously issue a larger number of Treasuries now than it did in the past to keep up with the over $20 trillion in national debt from constantly growing government deficits. These are not going away, though the largest foreign buyers of these critical financial IOU's both China and Japan have. The Fed has become the underlying crucial buyer of last resort shoring up government issued debt-paper now. There is no way that they can simply walk away from this role without the government's whole setup of financial cards crashing down on all of us. You should probably elect to keep your IRA-approved metals in one of the top offshore storage locations for your Gold IRA to keep it beyond the reach of the increasingly cash hungry U.S. government. 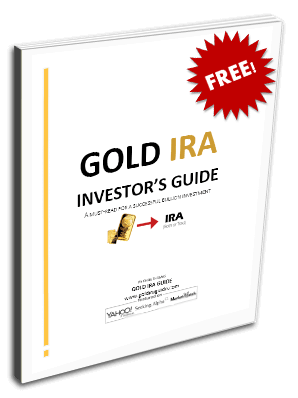 Now is the time to learn about a Gold IRA rollover versus a transfer.